From martial arts classes to yoga routines, these sessions are for those who are tired of their workouts in conventional gyms. The warmer weather only means one thing: Summertime is upon us. With that come beach trips and out-of-town activities that will most likely require you to get into swimwear. And who wouldn’t want to look and feel good in swim shorts? If you’re tired of doing the same workout routine in the gym, then these fitness classes will help you achieve that coveted summer body. Unlike sessions done in conventional gyms that let you do workouts without trainers, these fitness gyms offer classes that are guided by professionals. Coaches may help you achieve the goals you’re aiming for faster, may that be toned abs or stronger arms. The pioneer in the boxing gym scene, Elorde Boxing Gym has evolved from an exclusive spot for professional boxers into a fitness gym that even the novices in the sport can get into. The brand has one of the largest boxing gym networks in the country, with more than 30 branches mostly located in Metro Manila. Each boxing clinic offers a variety of boxing classes, from sparring lessons to advanced sessions. Other branches also offer Muay Thai classes and even high-intensity interval training (HIIT) workouts, so it may be best to inquire in the location you’re looking into. Unlike Elorde Boxing Gym, which started as the place for pros, Elite was founded to cater to those who want to add boxing into their workout routines. The gym offers classes that combine circuit training with either boxing or Muay Thai. Trainers are usually amateur boxers themselves, so prepare for intense and grueling sessions. It has three locations in Makati, Ortigas, and Libis in Quezon City. If you want to try boxing without human contact, then Flyweight’s boxing sessions are for you. The studio offers 45-minute group boxing workouts that combine core and footwork exercises with shadow boxing using a heavy bag. If that sounds too easy, there are three types of classes for different levels of fitness. The gym only has one location in Quezon City, but it offers one of the most extensive sets of martial arts practices in the area. Aside from the usual boxing and Muay Thai classes, it also offers sessions on mixed martial arts (MMA), arnis, Brazilia Jiujitsu, and even wrestling. All these are anchored on the gym’s goal of teaching self-defense (in case the worst happens). With that in mind, it’s not uncommon to find kids as young as five years old training alongside adults in the gym. One of the biggest martial arts clinics in Metro Manila, Fight Factory offers specialized classes for boxing, Muay Thai, and Brazilian Jiujitsu in its eight branches in Metro Manila. Each branch has its own roster of professional trainers, most of whom regularly participate in or coach teams for competitions. Still, if you’re just looking for a place to practice your punches, the gym also offers a one-time yearly fee for the usage of their gym equipment. 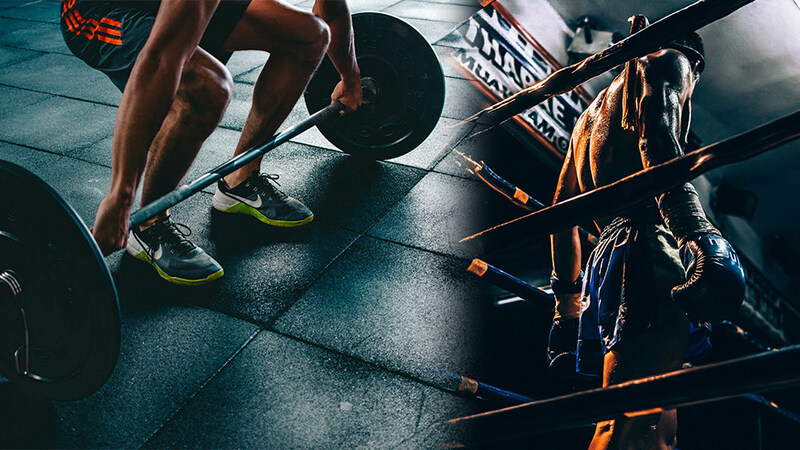 Dubbed as Makati’s largest box (at 1,200 square meters), Primal Ape is undoubtedly one of the best places to hit new personal records in weight training. The huge gym sometimes offers two classes in an hour and still has more than enough space for other fitness enthusiasts. It’s also one of the few boxes in Metro Manila that offers a wide range of schedules for its classes. From Mondays to Sundays, the first class starts as early as 6:30 am, while the last ends at 10 pm. This box along Pioneer street in Mandaluyong is also one of Metro Manila’s most spacious as it is found inside a warehouse. Like most Crossfit gyms, Avant Garde offers classes for every type of participant, from newbies to professionals, who are into competitions. It’s closed on Sundays though, but it has classes that start as early as 6 am on weekdays.